We design and manufacture products in line as an option for pilots who want to improve ride quality and performance of your bike. We have at our disposal the means of manufacturing the highest technology in the market. We distribute all kinds of accessories needed to maintain brake systems. We are distributors of Rekluse because double pump brake and clutch that we have designed, located in the Rekluse auto clutch perfect ally for operation and unparalleled performance. We design and manufacture products tailored to the specific needs of our customers. We attend consultations on preparation of brake systems and advise our customers to find the most appropriate solutions. Below are some of the work done with very satisfactory results. 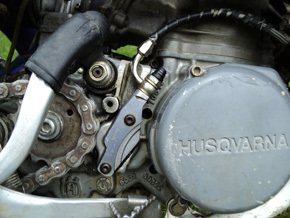 This Husqvarna clutch cable was truly exhausting. 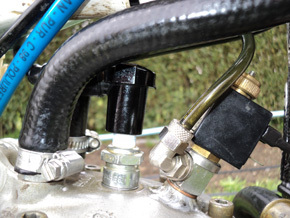 This change moves a finger, nothing to do with the outer cylinder systems that maintain a cable portion, the cam, the inner pusher. This greatly facilitates decompression startup and is fully automatic. 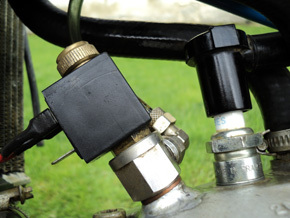 It opens only when the engine stops making power and closes as the kick is generated. 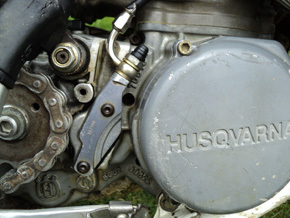 Very interesting for example for Husqvarna 250 and 300 in which the lever is high and advanced. Caliper six-piston radial-mount starting with. Designed specifically for a particular customer.